Hazel Lorene Schnatzmeyer (nee Summers), age 94, passed away from this life peacefully on Thursday, November 8, 2018 at Avalon Memory Care in Carrollton, Texas. Hazel was a loving mother, grandmother and friend to all who knew her. She was a lifelong Christian who confidently reaffirmed her faith. Hazel is now reunited with family and friends who have gone before her. Hazel began her life’s journey as the youngest girl in a large family in the little farming settlement of Anthonies Mill, Missouri. In school, she showed an aptitude for art and dress designing, but WWII intervened and she entered into service for her country. First, with the US Corps of Engineers in St. Louis and then in the Navy, where she proudly served in the Navy WAVE Nursing Corps. After the war, she attended Drury College in Springfield, Missouri, but decided to leave after two years to marry and start a family in St. Louis, where she lovingly raised her four children. As a dedicated single mother, Hazel served as a teaching assistant and then began a long career with the St. Louis Corps of Engineers as a librarian and archivist. Shortly after her retirement in 1994, she resettled in the Lewisville-Flower Mound area of North Texas. Hazel enjoyed gardening, art and coloring, but most all, she loved spending time with her family. Hazel is survived by her four children, Mark and wife Carol, Mike, Janet, and Todd and wife Tami; and her grandchildren, Mia and Emma. She was preceded in death by her parents, Henry Charles Summers & Minnie Mae Turnbull; her sisters, Lucille Rommelman, Nettie Summers, Inez Jones, Velva Harrison, Kathryn Dollar, Glendora Coffman and unnamed baby sister; and two brothers, Henry (Bob) Summers and William (Bill) Summers. Funeral Services will be conducted 11:00 AM, Saturday, November 17, 2018 at First Presbyterian Church in Sullivan, with Pastor Ron Koppelmann and Curtis Voelkel officiating. Interment will follow in I.O.O.F. Cemetery in Sullivan. Visitation will be held from 10:00 AM to 11:00 AM, Saturday, at First Presbyterian Church. At the family’s request, in lieu of flowers or other remembrances, if wished, memorial contributions may be given to the Alzheimer’s Association (act.alz.org), Susan G. Komen Breast Cancer Foundation (ww5.komen.org) or a charitable organization of choice in her name. 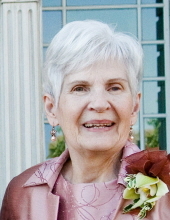 Friends may send online condolences to Hazel’s family at www.eatonfuneralhome.com. To send flowers or a remembrance gift to the family of Hazel L. Schnatzmeyer, please visit our Tribute Store. "Email Address" would like to share the life celebration of Hazel L. Schnatzmeyer. Click on the "link" to go to share a favorite memory or leave a condolence message for the family.